Contrary to the US headliner and main support, Kit Trigg appears to hail from London. He also appears to have brought a large proportion of the Boileroom crowd with him. Softly spoken, he is engaging and enthusiastic about tonight. Bully are his favourite band and this is clearly a special gig with family and friends in attendance, as well as fans. 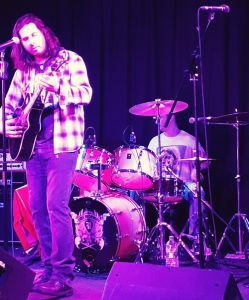 A two piece, Kit Trigg – Guitar and Vocals, and Nic Sleight – drums, they passionately play a range of styles from grungier numbers to the blues, which can be found on their latest release “Life” (2018). 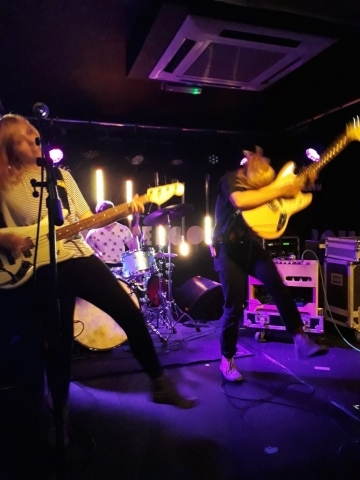 It is not only their musical style which has range; Kit’s voice reaches right from the depths of classic rock growling to the upper decks of near falsetto and is very impressive. Dude York are from Seattle, signed to Sub Pop’s sister label Hardly Art, and have just released their newest track “Moon”. 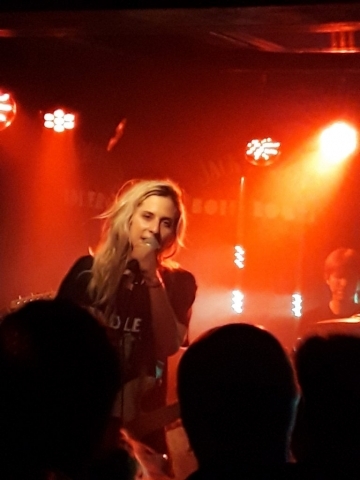 When i booked to see Bully i checked out who the support was, listened, and instantly loved this band, so I am down the front and am in no way disappointed. They are warm, fun but most importantly really good. Peter Richards, guitar and vocals, shakes the hands of the audience he can reach, encouraging the initially shy crowd to move closer. It works and it’s this unabashed friendliness and desire for all to relish the moment that comes across in spades from the band and completes their performance, with of course some powerhouse tunes. 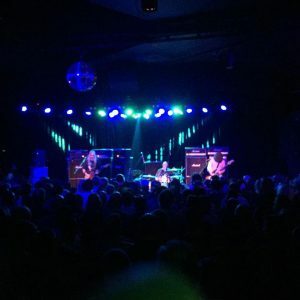 “The Way I Feel” is reminiscent of Everclear’s “Sparkle and Fade” into “So Much for the Afterglow” era and is a clear highlight, but there are no duds. 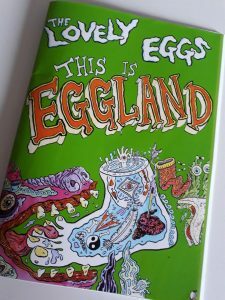 “Love Is” is a mass singalong, people are dancing and singing their hearts out and it is hugely enjoyable, Why this song wasn’t all over the radio/just generally everywhere i have no idea. 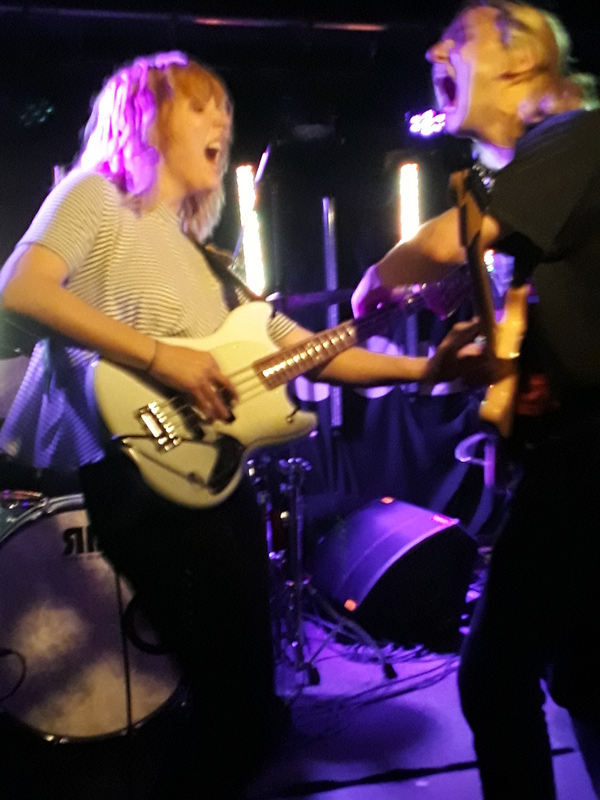 When Claire (bass and vocals), Peter, and Andrew (drums) finish their set they leave on a high with the crowd wanting more. I genuinely can’t remember the last time i saw a band for the first time and enjoyed it as much as this. They also have their own Christmas album which is a massive tick in my book. And then Bully. 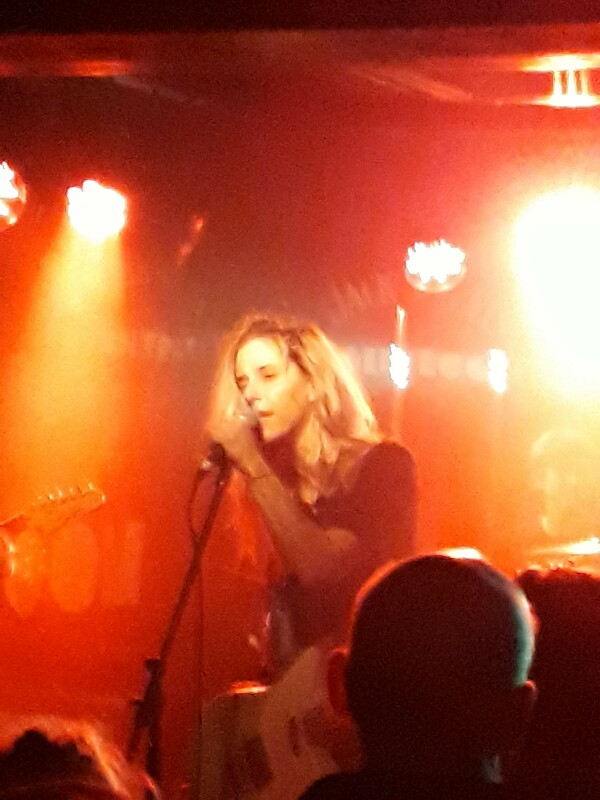 Bully are phenomenal. I could leave the review there as that is the most appropriate word i can think of to describe their gig tonight. I had high hopes but in every way this was exceeded. Alicia Bognanno’s voice on record is one of those rare special voices where when she screams the raw scratchiness still retains the light and manages to sound sweet without losing any of its intended power or emotion. 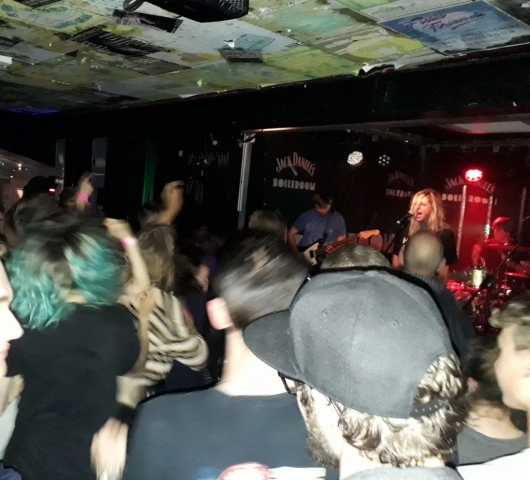 Live this transcends to a whole other level and, as the band kicks in, the Boileroom has become one mass of moving bodies, the speakers taking the brunt of a body or two having the best time. What is lovely about the crowd tonight – ranging from late teens to the fifties – is there is not one ounce of aggression in the mosh pit. They are simply in the moment of rocking out to an amazing band, and this is truly a group effort. 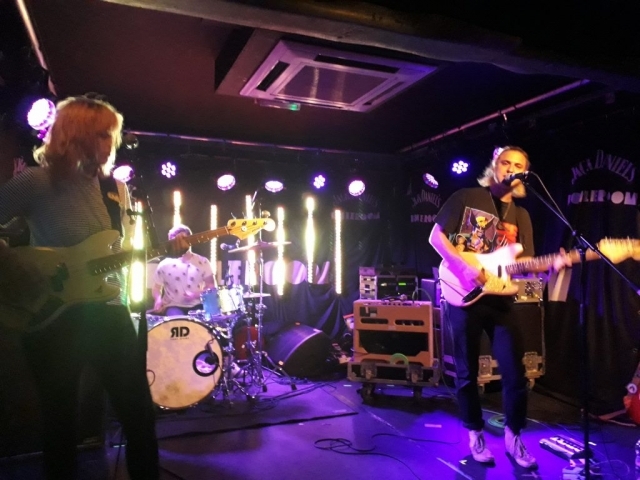 Everyone is incredible; Wesley (drums), Clayton (guitar) and Reece (bass) are tight as anything and playing hard, and all four members of Bully are in sync with one another. The band express they didn’t know what to expect and seem genuinely taken aback and touched by the love in the room for them. People call out for tracks; “It’s coming” says Alicia to every request and they really deliver, squeezing in as many tracks as possible from their albums “Feels Like” (2015) and “Losing” (2017), playing to the very last minute they are allowed. 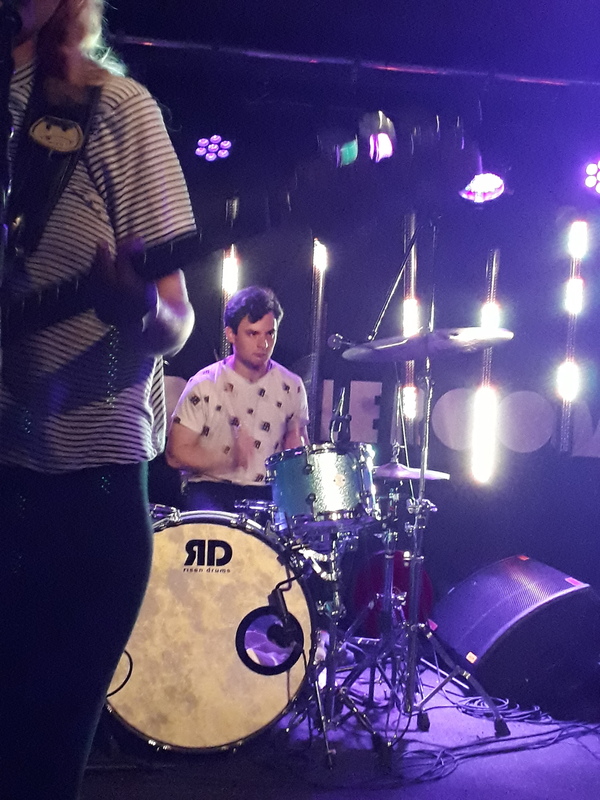 “Milkman” and “Trying” are arguably the favourites, but it is one of those nights when you go home and you can’t sleep because you are so buzzed from it all. 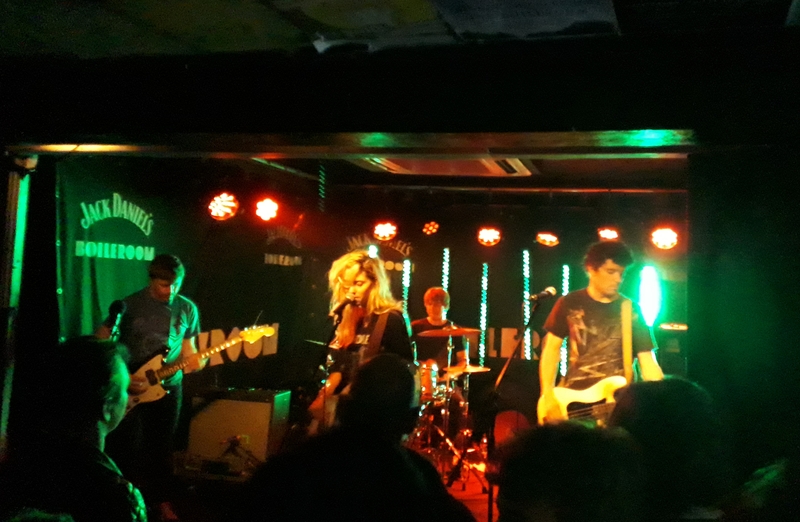 29th May 2018 at The Boileroom, Guildford.